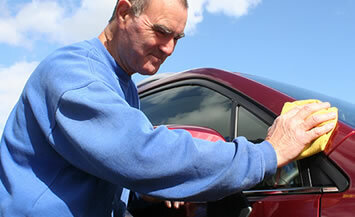 Here at ALT Valeting, we pride ourselves on providing a quality service. But don't just take our word for it! Here are some kind comments from a few of our very satisfied customers. "As a working mother of two young boys, my car has been subjected to all sorts of messes and spillages! But thanks to ALT Valeting, my car is looking immaculate! Finally I have a car that I'm not ashamed to meet clients in!" "What a fantastic service! The car looks as good as new! Would definitely use again." "My three young children and 2-year old Jack Russell had pretty much destroyed any thoughts of my car looking normal again, but ALT Valeting performed miracles! The car smells fresh and looks great! Superb!" "The level of service with ALT was excellent. It has transformed my car wash abused car into something approaching show room condition! Top notch!"